Amazon has the 3rd-gen August smart lock on sale for $99.99. This lock averages around $125, but it did jump up in price in the new year. Today’s deal is the first time it has hit this price since December, and it has only dropped this low once or twice before. The August smart lock adds secure, keyless entry to your home. Using your phone you can lock and unlock the door and keep track of who else is using that door. It attaches to the existing deadbolt so you don’t have to get rid of the keys you currently have. If you need to give your kids or a guest a way into the house when you’re not home, you don’t have to hide a key somewhere outside. You can send them a guest access code from the August app. It also has automatic features that can lock when you leave and unlock as you arrive. 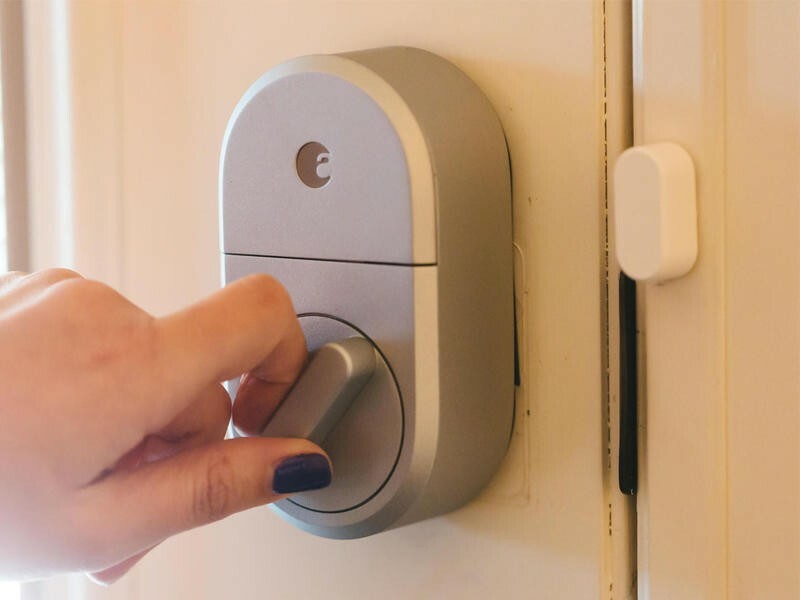 You can also connect it with an August Wi-Fi Bridge to work with Alexa-enabled devices so you can lock or unlock the door with just your voice. Users give it 3.8 stars based on almost 800 reviews and it comes with a 1-year warranty. Need more ways to improve your smart home? This 4-pack of Teckin smart plugs is down to $28.79 with code N6ET5WZ5. You can plug these in anywhere in your home and control four appliances or lights with your phone or voice assistant.